The Lugarde Brooklyn log cabin is made in 44mm log thickness. It is also possible to add floor and roof insulation. 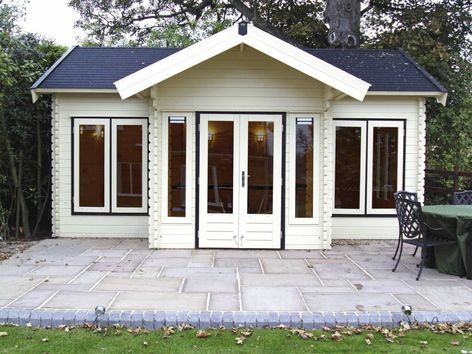 The Brooklyn is a smaller version of the extremely popular "Daisy" log cabin. It has a feature porch and double glazing is standard. 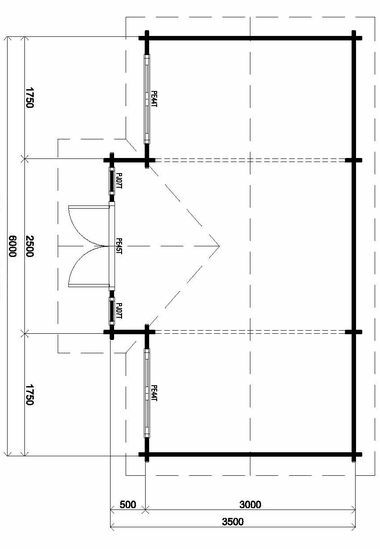 Size approximately 3.5m x 6m in 44m. The standard package includes 1 double door PE45H, 2 casement windows PE44 (outwards opening) and 2 windows PJ07, all double glazed.